The Kurtis Group is pleased to announce the launch of a newly redesigned website for Elderly Housing Management Corporation (EHMC). EMHC manages Pablo Towers and Pablo Hamlet, senior living communities located in Jacksonville Beach, Fla. The new format features detailed information on both residences including location, amenities, floor plans, outreach initiatives, news, resources, and a contact form for more information. “This new design is easy to navigate and will allow potential future residents to gather information about Pablo Towers or Pablo Hamlet. It will be a helpful resource for individuals over 62 who are exploring their living options,” said Melissa Gilreath, Executive Director of Elderly Housing Management Corporation. Elderly Housing Management Corporation strives to meet the needs of our senior citizens with quality, affordable housing in a compassionate atmosphere. The facilities of each community are part of an overall concept designed to respond to the desires of seniors for security, comfort, safety, independence, dignity and the enrichment of stimulating social-recreational activities shared with others. Established in 1986, The Kurtis Group is a Jacksonville beach-based advertising and design agency providing services to a variety of local and regional clients. 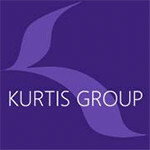 Visit www.thekurtisgroup.com for more information.